In this section, we examine more closely how IIoT is enabling transformation of MRO strategies and then look at some specific IIoT technologies and applications which are key to this transformation. The exponential growth in range and diversity of “things” is driving innovation in embedded sensor design and these devices must integrate increasing amounts of functionality in ever smaller packages. The real-time nature of many applications requires that more and more data processing must be performed “at the edge” and remote applications require devices with very low power budgets. The above requirements, particularly the demands of size and power consumption are challenging to meet using discrete components and more and more sensor implementations are based on custom silicon design, or System on Chip, (SoC). Only slightly larger than a CPU, a SoC contains much more functionality and, due to its very high level of integration, uses considerably less power than a solution based on discrete components — essential in many IoT applications. SoC production falls into the realm of organisations with expertise in silicon design and fabrication techniques, such as Dublin-based S3 Semiconductors. With 20 years of experience, S3semi have built an IP portfolio of sensor-relevant technologies which can be licensed for custom designs and built into custom platforms, such as their SmartEdge SoC, (figure 1). As well as sensors, the evolution of communications protocols has been a critical enabler of IIoT. The communications protocols employed by the embedded sensor depend upon the environment within which the device must operate and there are such diverse requirements for IIoT sensors that no single communications technology can meet all of the range, power, size and cost requirements. Although Wi-Fi may be an obvious choice for some applications, newer networking technologies are allowing for the development of low-cost, low-power solutions. These technologies support the creation of very large networks of very small intelligent devices. Figure 2 gives an overview of some of these technologies. 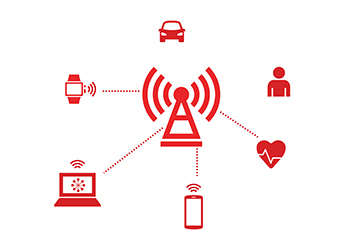 Additionally, there are many wireless networks available that are specialised for various industries, including 6LoWPAN, ANT, Zigbee/Zigbee IP, Wireless M-Bus, ISA100 and others. 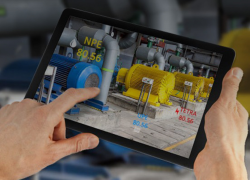 With so much data now available from industrial processes and systems the challenge facing organisations is to make sense of it and to take decisions and actions in real-time. This requirement has seen the emergence of IIoT platforms which offer a number of capabilities, including management of IIoT endpoints and connectivity, data analysis and IIoT application development and integration tools. In industries with more mature MRO processes, where asset data is widely available, companies are investing heavily in software and applications which will process the vast amounts of available data (big data) in order to gain insights and facilitate decisions. In the aircraft industry, for example, AFI KLM is a joint venture between Air France and KLM which has been set up to provide outsourced MRO services to other airlines. AFI KLM engineering teams have developed a platform called PROGNOSIS, which includes a series of algorithms that use the data automatically downloaded by Wi-Fi from aircraft during their stopovers at Paris-CDG airport. The results are transferred in real time to the Maintenance Control Centre, where specialists receive alerts from components which can automatically trigger maintenance operations. In the factory/process control industry, two leading Japanese industry players, Yokogawa Electric Corporation and Iwaki Co., Ltd., are collaborating on a proof-of-concept (PoC) test for a remote pump monitoring service. Yokogawa is developing an IIoT gateway device which will receive sensor data from a pump via a low power wide area network (LPWAN) or some other wireless link, or via an analog/digital communications interface. Once in the cloud, this data can then be accessed using a cellular or fixed line network. 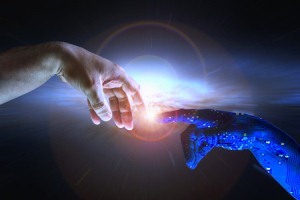 With this PoC, Yokogawa is aiming to create a system with wider application in industrial processes, that simplifies the process of connecting to sensors and other instruments and transferring that data to the cloud. Darren Hobbs is a graduate of University College Cork and the Henley Management College. He has over 20 years’ experience operating in the semiconductor industry in roles such as CMO, Product Line Management, Product Marketing and Project Management in a mix of SME and large multinationals.